Welcome home to this 1,334 sq. 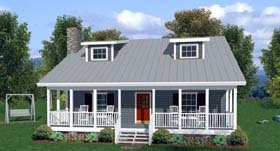 ft. plan, ideal for a vacation home, starter home or a down-sizing empty-nester. Relax on cozy front and rear rocking chair porches. Construction-friendly shed dormers enhance the home’s rustic appeal while illuminating the vaulted family room, country kitchen and bedroom #2. The spacious main level master suite features a walk-in closet, sitting area and master bath. An optional master bath plan with a separate tub and shower is available for crawlspace and slab foundations. A laundry room and powder room complete this main level. The second floor features two bedrooms and a full bath. A dramatic overlook is open to the family room below. 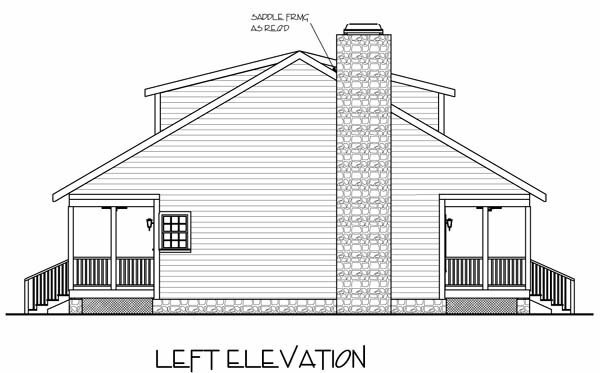 Question: The cabin will be built at 7000 foot elevation 50psf snow load. what will change with that load? when the plans come back with red lines from the city can the changes be made and if so what is the cost? Answer: Plans are designed for 30# snow load. Plans should be re-engineered for the higher snow load, and for any local code requirements. 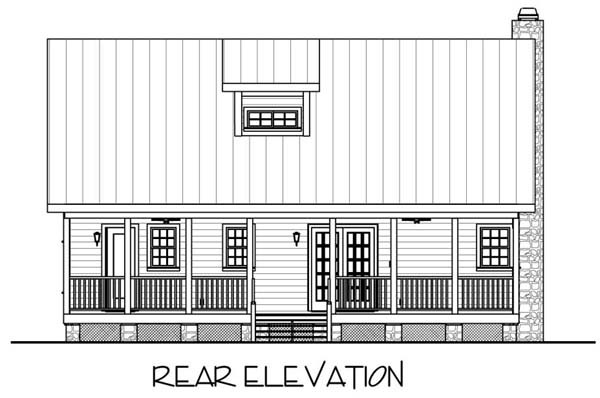 Question: The description says stick framing for the roof Is this correct, and are there roof framing detals? Or are trusses to be used? Answer: Roof is framed with rafters (aka stick framed). 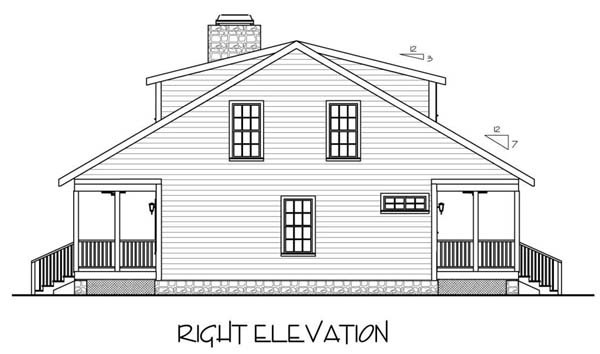 There are framing details and a rafter framing plan included in the plan set.